Limit 1 per person and 1 per transaction. Valid toward any coffeecakes or cake-a-lettes. Tax and shipping not included. 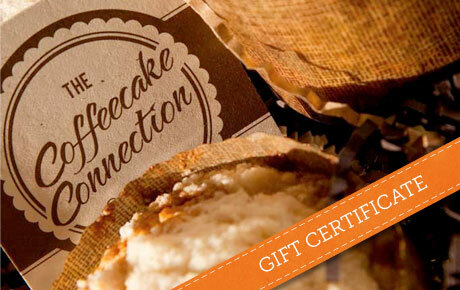 Full value of Gift Certificate must be used in 1 transaction.